Life is hectic. That is an understatement. That is why this whole concept of "slow beauty" from SpaRitual really appeals to me. We all need time to slow down and be at peace with ourselves and our world. It is a place unconstrained by time, envy or vanity. This world of Slow Beauty. Where the practice of restoration and healing begins with a choice. Sink into an Infinitely Loving embrace. Chinese Jasmine Essential Oil settles the mind, restoring body and spirit whole. Nurture yourself with the affectionate colors of light. Peaches, pale pinks, breezy whites and the blush of tea roses nurture, protect and encourage us to live from the heart. 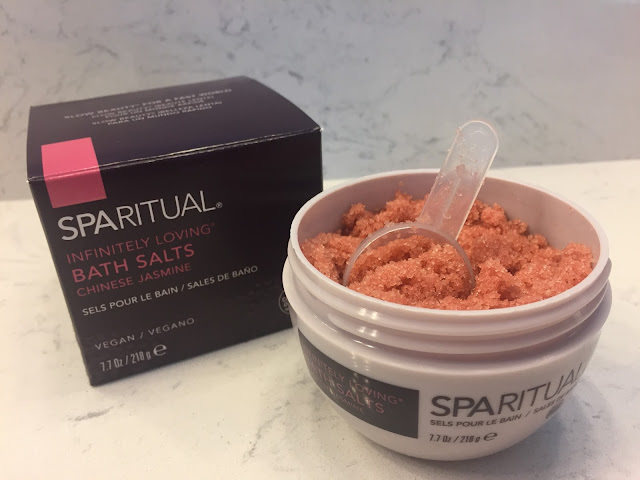 The Infinitely Loving collection from SpaRitual offers a variety of products including a body oil, body butter and bath salts, to luxuriously moisturize the body. The floral scent of Chinese Jasmine leaves a soothingly fresh scent to restore both the body and mind. From the Infinitely Loving Collection, I tried out the Infinitely Loving Sugar Scrub which contains certified organic sugar and certified organic safflower seed oil. This scrub is packaged in a cute container with a handy little scoop inside. This scrub really works nicely! I like using this product during my evening baths. 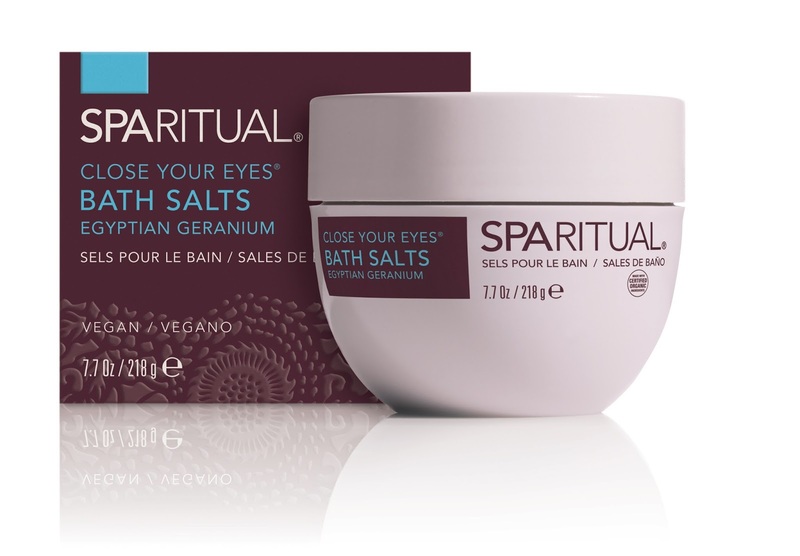 It refines and exfoliates my skin and leaves me feeling soft and refreshed while it also hydrates my skin. 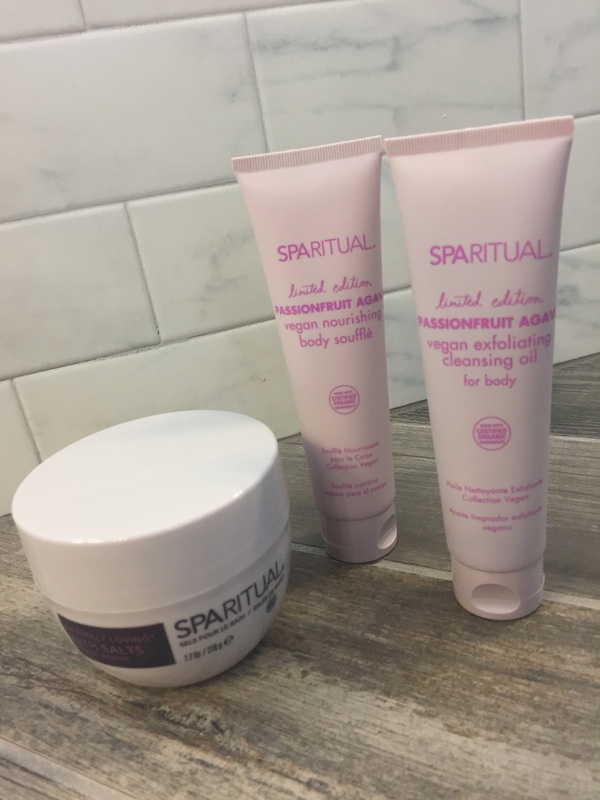 This fruity-scented vegan body collection is such a decadent treat! Do you know the scent of a fruity chewable vitamin? That is what the scent of this collection reminds me of. Oooh! I love this scrub! The scent is so uplifting for a morning shower! It is such a unique product. It is a cleansing oil scrub. I honestly don't think I have ever tried a cleansing oil scrub before. I have tried cleansing oils, but not with scrub particles! It works really well as an exfoliator! The scrub granules are super-duper fine and do a fantastic job. The oil emulsifies when it comes in contact with water. It leaves me super soft and hydrated and smooth! I really enjoy the texture of this body souffle! It is thick without being greasy. It spreads easily and sinks in quickly to your skin. I like following up the Exfoliating Cleansing Oil with this body souffle for the complete Passionfruit Agave experience. The fruity scent is really uplifting after a morning shower. I really enjoy this product. It leaves me smooth and hydrated!